It's just a demostration about the bug that was found on Myjio app. 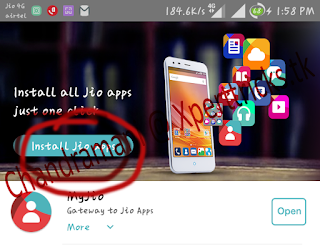 Now click on Install apps. After installations of all apps turn off your mobile data or wifi . and touch on force stop button. 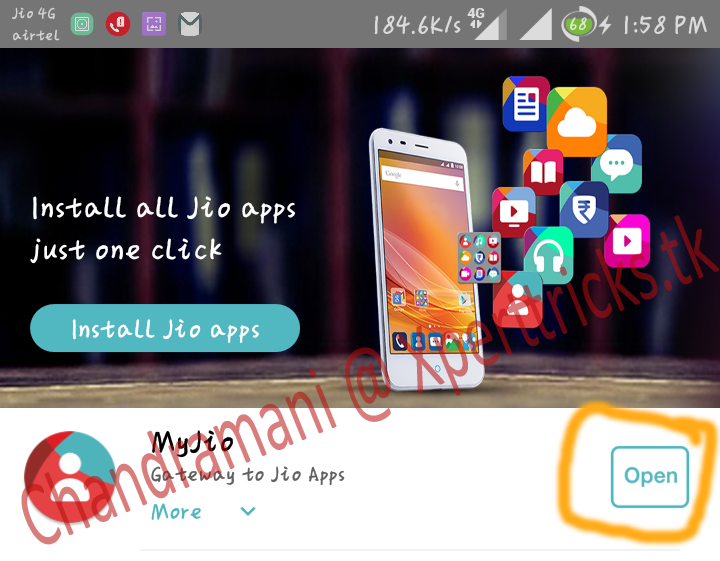 Now open Myjio app and see the first app in the list Named as Myjio . Touch on open. Note - YOUR MOBILE DATA SHOULD BE OFF BEFORE DOING THE ABOVE STEP. Now after this step you will see a the option "Get Jio Sim". Touch on that and follow the Steps given. You will have to convince the person in the shop for the sim and once you get the sim ENJOY UNLIMITED CALL , DATA, SMS for three months. I'm using 4g on My honor 4x see the first image on the post. I got the sim . Try your luck . Please let me know your queries in the comments below. Follow the blog for latest Updates.